Two purses with Kogin-zashi needleworks and metal clips are created. 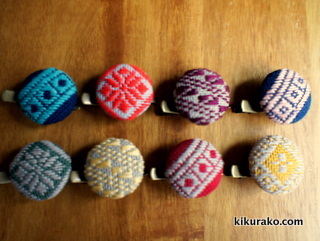 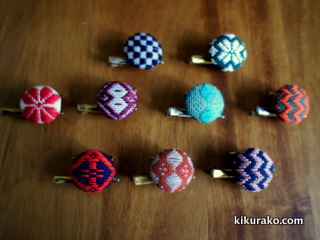 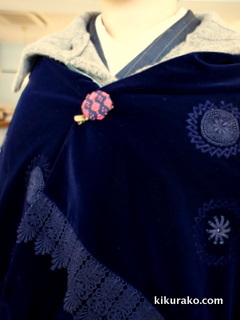 The design of clips, patterns of needlework, and the shapes of the two are different. 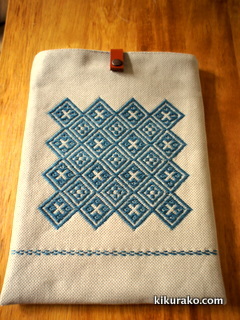 The whole of both sides are embroidered. 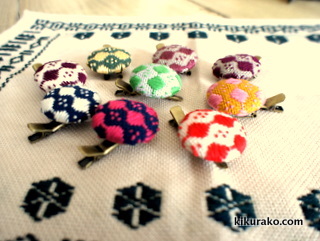 The appearances give calm feelings. 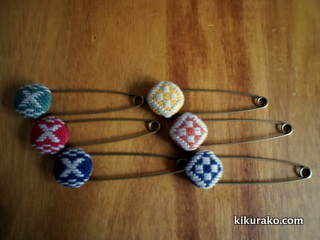 The inner fabrics are a little cute. 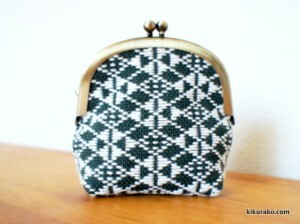 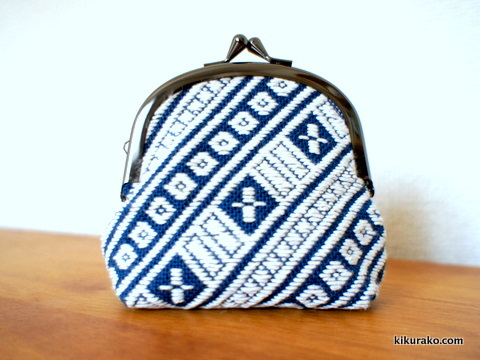 A handbag with Kogin-zashi needleworks and metal clip is created. 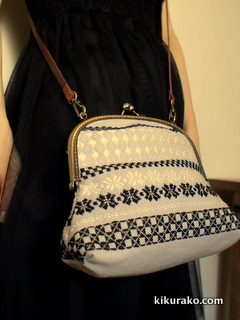 The leather belt is changeable, so it can be used as either a handbag or a shoulder bag. 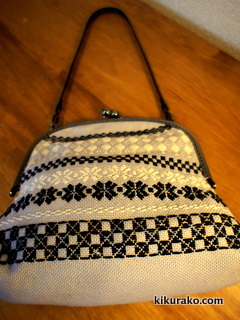 A chain belt may also be nice with the bag. 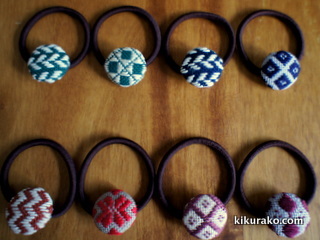 The colors of embroidery threads are black and white. 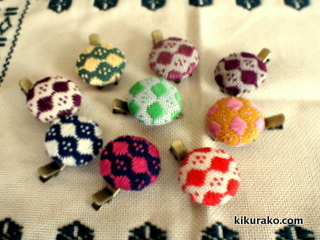 Do you think it is stylish? 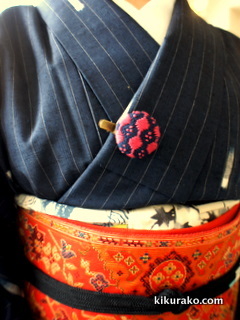 It goes well both with Western clothes and Japanese clothes, such as Kimono or Yukata. 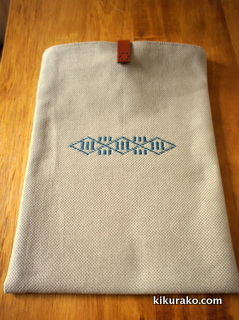 Hopefully, we show the photos inside next time.